In this tutorial we will show you how to install the Simple Machines Forum easily via Softaculous, which is included in each of our hosting packages. In order to initiate the installation of SMF you will need to access the Softaculous which is available in your cPanel account. 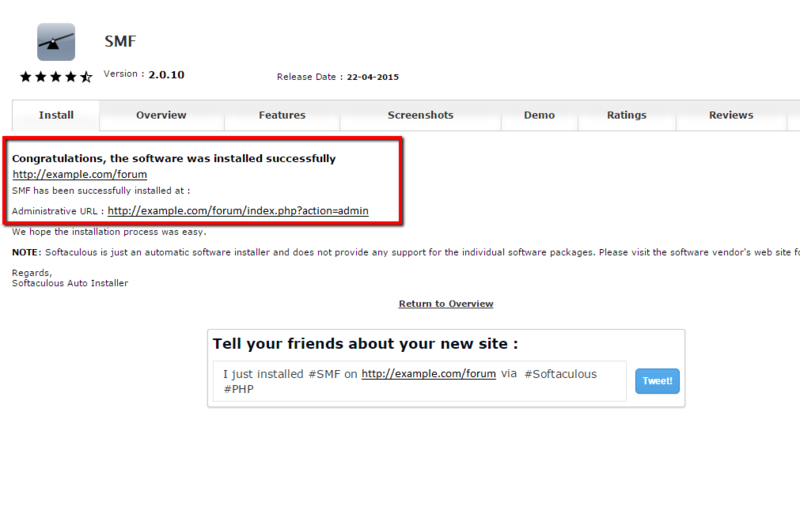 Locate the Software and Services section and click on the Softaculous Apps Installer icon. This icon will redirect you to the interface of the installer. 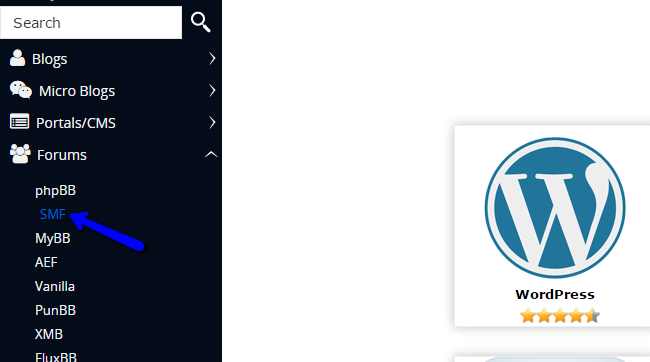 On the following page you should be able to find the SMF application simply by navigating to the Forums tab on the left and then choosing the SMF from the vertical menu. 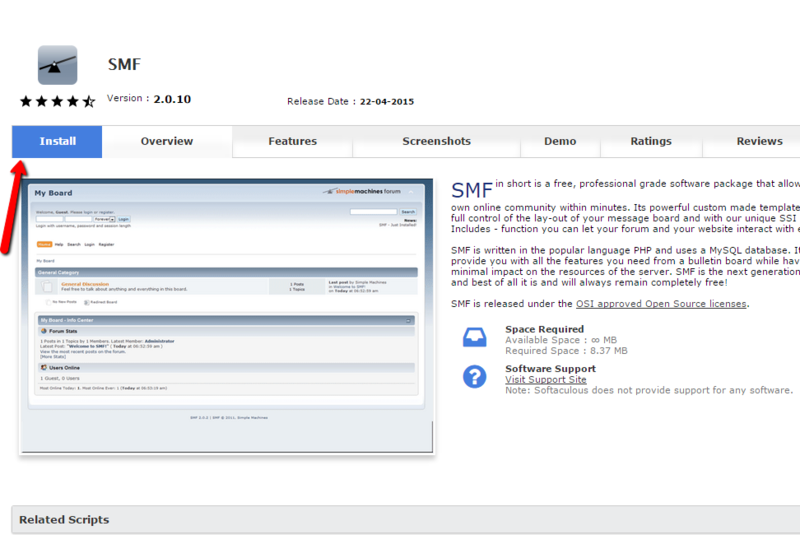 You can also locate SMF, by using the Search field, which is placed at the top left on the page. In both of the methods you will be redirected to the Overview page for the application. Now click on the Install button and you will be redirected to the installation page where you should be able to install the application. Once you are on the Install page you will need to fill all of the required fields which are described below so the installation process can be finished successfully. There are three main sections and we will review them all for better understanding. Visual verification image to display - The more complex the image the harder it is for bots to bypass. Simple and easy – that is the SMF installation via Softaculous. Congratulations for the installation of your new forum.